So… it’s almost March and it has started snowing in Vancouver! What is going on?! Well, on days like this, I go straight for comfort. This easy-to-make, velvety homemade cream of mushroom soup will definitely do the trick. One bowl of comfort, coming right up! Cream of mushroom soup has been a favorite of mine for as long as I can remember. But once you go homemade, you can’t go back! 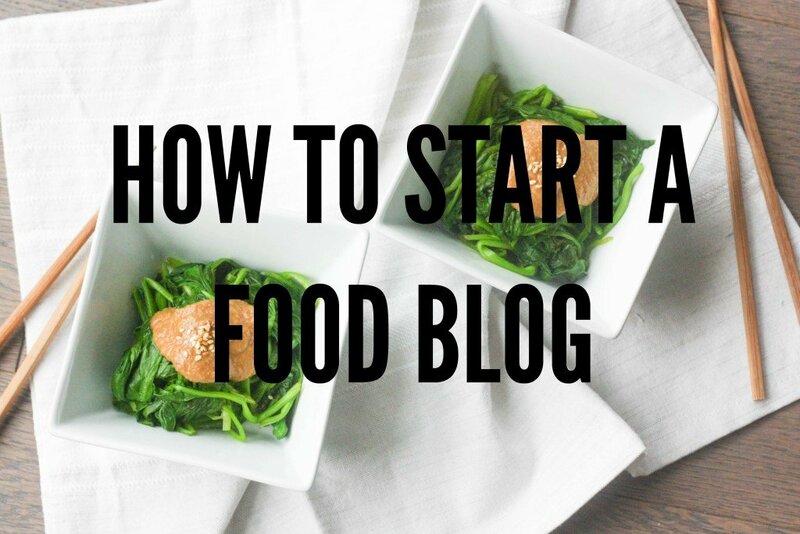 So give it a chance and skip the store-bought stuff, you won’t regret it! Cream of mushroom soup so easy to make at home and so much tastier than just about anything bought pre-made at the supermarket. You will never open a can of mushroom soup again! It only takes around 30 minutes to cook. Yes, that’s right, a delicious bowl of heaven from pot to bowl in around 30 minutes. Just a bit of chopping, stirring and blitzing and you’re done. There aren’t a lot of recipes that you can say that about! The intensely earthy flavours from the combination of vegetables in this homemade cream of mushroom soup are kind of my new obsession. Mushrooms and parsley roots mirror and amplify each other. They are both are a bit earthy and nutty in flavour, and both benefit from a little high heat in the pan. 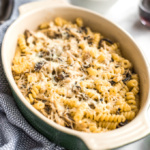 For the best results, use a nice mix of different types of mushrooms in this recipe. But, you can always just use one type and still get pretty amazing results! I would recommend using porcini mushrooms which have more flavour than the other types of mushrooms. Or, for something on the less expensive side, go with crimini mushrooms which will give you more flavour and colour than typical white mushrooms. So go ahead and indulge in this super silky, smooth and delicious homemade cream of mushroom soup! 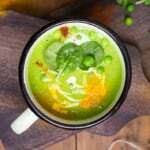 Don’t let the beige and “boring” colour of this soup fool you, you’ll amazed by how tasty it is! Serve with some ciabatta crostini or crispy bread on the side, and enjoy! 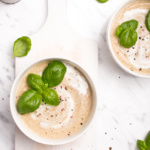 This easy-to-make, velvety homemade cream of mushroom soup is made with a flavourful combination of vegetables and will comfort you during a chilly day or night! Heat olive oil in a large saucepan over a medium heat. Add onion and cook for 1 minute until soft. Add mushrooms and cook for a further 10 minutes, stirring from time to time. Add potatoes, carrots, parsley roots and cook until softened, around 5 minutes. Pour the stock into the pan and bring to the boil over a medium heat. Cover and turn the heat down to low. Simmer for 20 minutes. Pour in the cream and then turn off the heat. 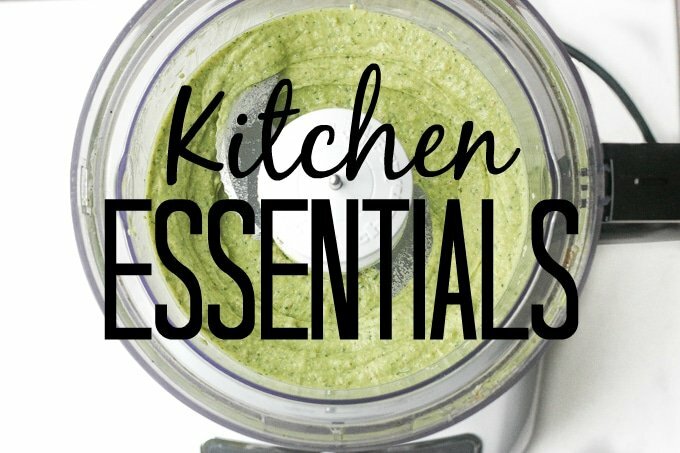 Transfer soup to a food processor or blender. Puree until super smooth and creamy. Season to taste with salt and pepper. 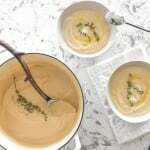 Transfer soup to serving bowls and garnish with basil leaves and remaining cream. Serve hot. Do not omit the cream, it is essential. 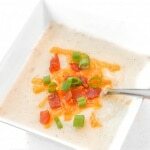 For a lighter soup, use a lighter cream as opposed to heavy cream. But, do not replace it with milk or water, otherwise your soup won’t be creamy enough. This is a beautiful soup, Sam! I didn’t know you were in Vancouver (I’m in Kelowna) so I guess we are both lucky on the Canadian winter, even though its been a long one. Thanks for this yummy recipe! I’m not a mushroom fan but this dish looks amazing. Homemade soup is the BEST. Mushroom soup is so delicious. This is the perfect comfort food right here. With a nice slice of fresh bread and a glass of white wine. I call this dinner. What a gorgeous looking soup! I’ve never tried making my own cream of mushroom soup before, but you’ve inspired me.